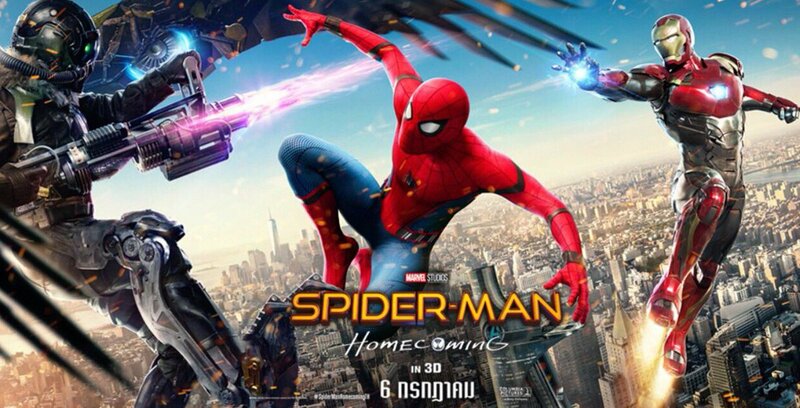 I wasn’t sure what to expect going into Spider-Man: Homecoming. I did really enjoy Tom Holland’s outing as Spidey in Captain America: Civil War, but I was kind of out of the loop for the pre-movie publicity (I barely even remember the trailers) and I felt going in more like I was seeing it out of MCU obligation than genuine hype. Plus, I still had some lingering resentment from the whole “pushing back the entire MCU production schedule to slot another white dude in” thing. Coming out of Spider-Man: Homecoming, however, I had a big ol’ grin on my face. This movie was fantastically well-crafted and cast, and was loads of fun while also telling a heartfelt and complex story at its core. Major plot spoilers after the cut! Please don’t read if you are planning to see it; it’s really worth going in unspoiled! My friend and I came out of Guardians of the Galaxy Vol. 2 convinced that the Infinity Wars movies, and the big Avengers/Guardians crossover therein, were mostly going to consist of Tony Stark and Peter Quill trying to out-Daddy-Issue each other. As well as both having facial hair and a penchant for roguish one-liners, the two heroes have a few things in common, most notably their parental situation: like Tony, Peter Quill has a complicated and at times antagonistic relationship with his father that forms the emotional core of a whole movie, and a sense of wistful mourning for his mother, who was sweet, kind, and only shows up in a few scenes. She’s also dead due to circumstances that were in no way her fault, so they can bond over that as well. At this point, maybe Thor can chime in too, perhaps initiating a group hug, since he also has a complicated relationship with his main-character dad and grieves over his good and nurturing dead mum. Jeez, is Infinity Wars just going to be one big session of father-related angst and mother-related mourning? Fridge a kind mother and elevate a father to main character status once, Marvel, and that’s shame on you. Fridge a kind mother and elevate a father twice, still shame on you. Do this three times for three different superheroes and it’s officially a pattern. What exactly is going on here, and why does it annoy me so much? 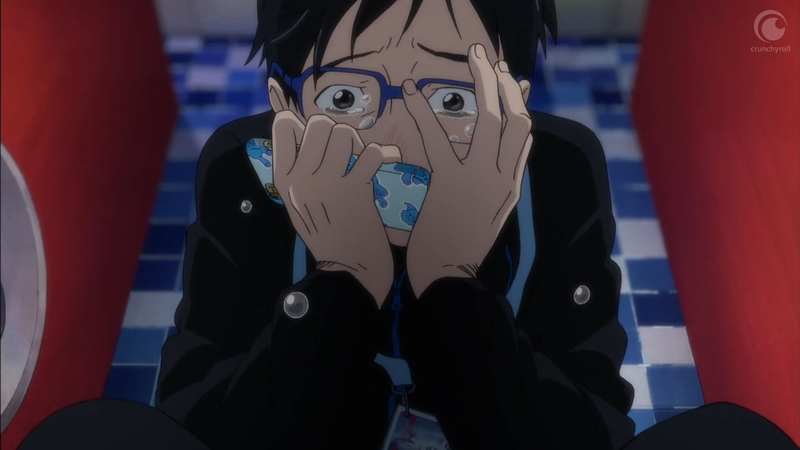 One of the first things Yuri Katsuki does onscreen is cry. His establishing character moment is him weeping uncontrollably in a bathroom, the picture of vulnerability and hopelessness, after doing badly at the Grand Prix. And he doesn’t stop crying, either—his tears, and his anxiety, return time and again over the series, and while he eventually learns to handle this anxiety as his confidence is nurtured, the narrative never really presents this emotion and his expression of it as a bad thing or a weakness. Yuri is a highly expressive, emotional young man, and the show he’s in lets him be that. And that’s quite a rare thing to see in fiction, let alone from the protagonist of a sports anime—surely one of the most manly genres out there, given that they’re all about feats of physical prowess! And yet there’s Yuri, sobbing—and not the only man to do so in that show either. Granted, a lot of Yuri!!! on Ice plays with and strays from what we would consider “manly” (dancing, themes of love, throwing away strict conventions of gender presentation with Viktor’s long hair and flower crowns, etc. ), but this departure from gendered expectations is still worth noting. Usually, the perception is that boys don’t cry. Crying is a sissy thing to do, an unmanly thing to do, a girly thing to do, and society says the accepted and desirable alternative is to bottle up your feelings or project them outwards onto other people. This is one of the neatest examples of toxic masculinity you can find: being emotional is somehow feminine, and, of course, that that makes it bad. Content warning for discussion of suicide after the jump. Stark Justice III: Iron Man is a Stark, Too! So, I have to tell you how happy I am to be able to keep this series going by jumping from Ned and Catelyn to Iron Man himself, Tony Stark. That happy little coincidence would justify this post on its own, but worry not friends, I have actual points as well! 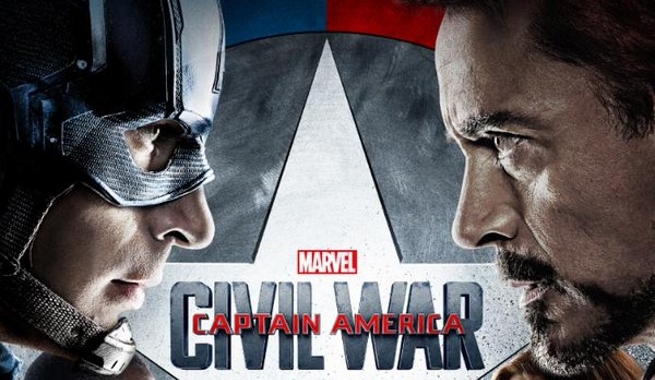 We’ve covered Captain America: Civil War a bit so far, but we’ve been light on the endorsements. And I certainly can’t speak for the entire LGG group here, but while I admit that there is no way I could ever say no to Steve Rogers if he asked for my help, when you give me a moment or two to think it through, I’m with Tony. 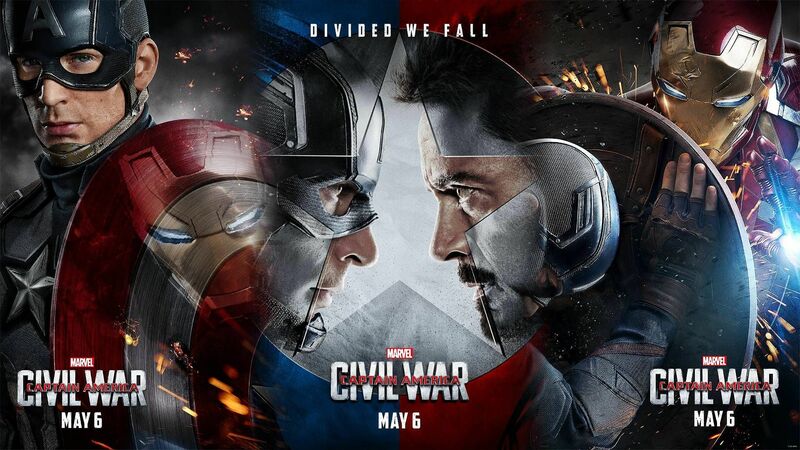 Captain America: Civil War is the 13th movie in the Marvel Cinematic Universe, which has also tacked on an additional nine seasons of television, between four series, with more on the way. If nothing else, it’s an incredible feat to keep producing quality stories, and Civil War may even top everything that came before it. The movie has considerable moral and philosophical heft, which it accomplishes by asking difficult questions about right and wrong. What makes it unique, especially in the current media landscape, is that it achieves this without turning its protagonists into antiheroes. We’re not asked to accept a series of atrocities in service of the greater good, or weigh the need to tamp down our emotional attachments to do what needs to be done. Simultaneously, we’re not asked to see goodness as simple and self-evident. Instead, we get a smart, nuanced contest of ideas between Steve Rogers and Tony Stark, with a conclusion that’s ultimately ambiguous. Despite the high stakes and increasing violence between their factions, the audience is never asked to see either superhero as corrupt or shortsighted or evil. Neither is brainwashed or deceived or misunderstood. The audience sees both as they see themselves, and as they see each other: as good men who have reached incompatible conclusions about how to do the right thing, who are heartbroken by their conflict. Spoilers for Captain America: Civil War after the jump! I feel like I’ve been waiting for Captain America: Civil War to come out for most of my adult life, even though it’s only been two years since Winter Soldier. Needless to say, it barely felt real going into the theater on Thursday night. I had no idea what to expect, no idea how high I should allow my hopes for the writing to be, and no idea whether I’d leave the movie emotionally devastated. (Okay, that’s a lie—I knew it was a question of how emotionally devastated I’d be, not whether it would happen at all.) And with the bad taste of Age of Ultron still in my mouth, I was generally worried for the state of the franchise. I am happy to report that Captain America: Civil War was almost exactly the big-screen, action/adventure, Stucky-focused hurt/comfort fic I was desperately hoping to see. Spoilers after the jump! The night before the Civil War trailer dropped, I spent a solid half hour complaining to my long-suffering mother about the lack of a Civil War trailer. It was just unconscionable to me that it had neither been leaked nor officially released yet, and I was growing more and more nervous about what the movie would be like.